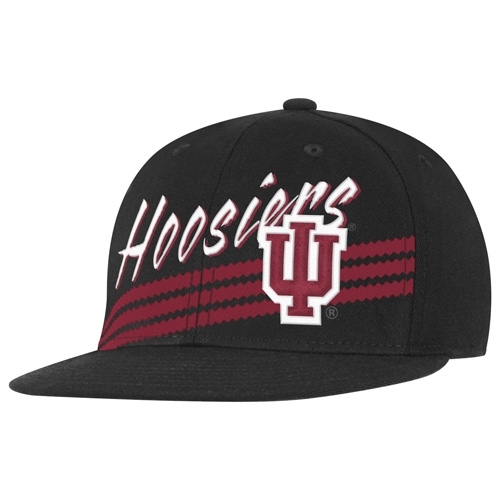 This ADIDAS Hoosier "IU" Flat Hat is fitted and comes in two sizes. It is Black with Crimson 3 strips across the front of hat with embroidered Hoosiers and IU logo. Made from 83% Acrylic / 15% Wool / 2%Polyurethane. 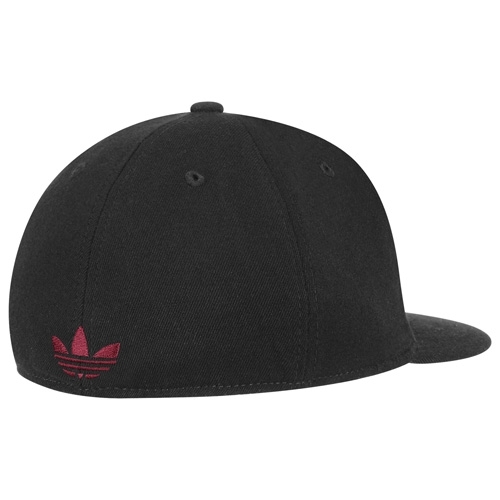 Trefoil ADIDAS logo is embroidered on back of cap.